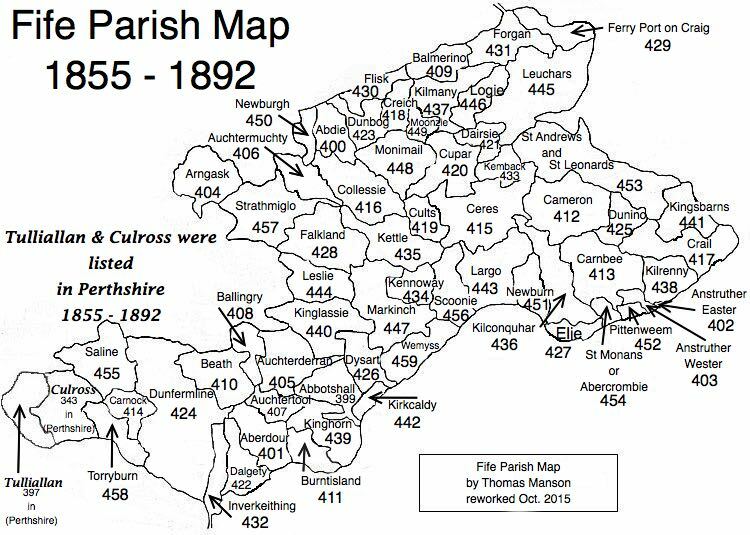 Parish of Falkland – The Fife Post………..for genealogy and historical information. FALKLAND, a royal burgh and parish, in the district of Cupar, county of Fife, 10 miles (W.) from Cupar, and 24 (N. N. E.) from Edinburgh; containing the villages of Balmblae, Freuchie, and Newton. This place, anciently called Kilgour, signifying in the Gaelic language the “Hill of Goats,” is situated in a secluded spot at the northern base of the East Lomond hill, and was one of the principal strongholds of the Macduffs. The church, erected in 1620, and repaired in 1770, is a plain structure containing 687 sittings. There are places of worship for members of the Free Church, the United Secession, and Baptists of Free Communion.